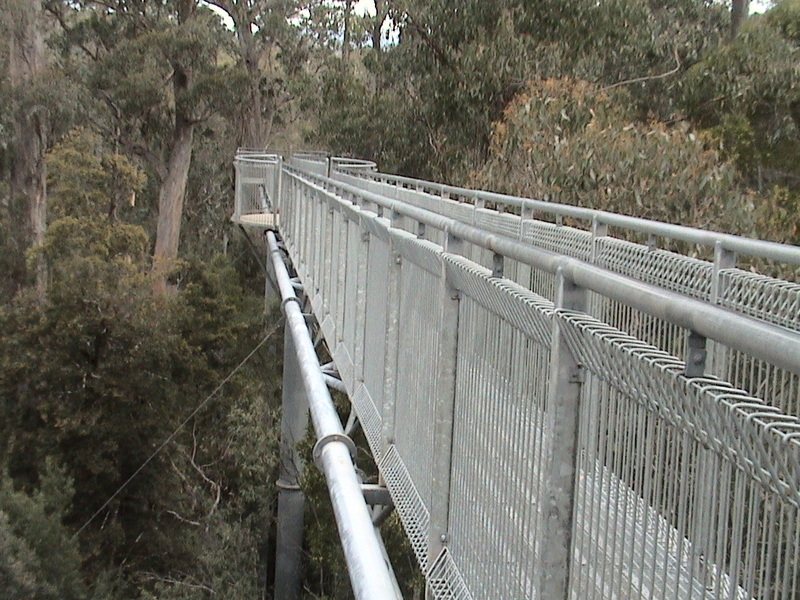 It might seem a big call, but we’ve both agreed it was the best $100 we’d ever spent on anything in our 50+ years, hands-down, and the perfect way to cap a great four days in Tasmania’s lush Huon Valley. As you can imagine, by this stage in our lives we’ve travelled a bit plus one of us comes from a tourism background, having spent 12 years in the industry’s frontline and several more decades enjoying its day trips, exploring new places and experiencing various “attractions”. 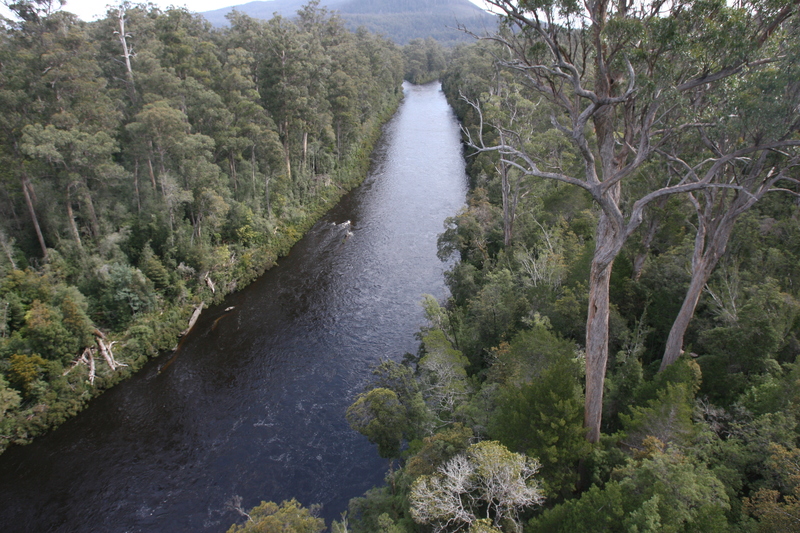 So, on a recent trip to Tasmania, we had a few days to have a good look around the picturesque and largely unspoilt Huon Valley, southwest of Hobart, and we wisely chose to “float” our itinerary to work around inclement weather if needs be. Ahead of time we selected: a day road trip to the most southerly point you can drive to in Australia; a tour around the region’s small wineries; plus a cruise along the seaward coastline of Bruny Island (we’d see the inside shoreline of the island from various vantage points throughout our stay and both of us are partial to great coastal views). 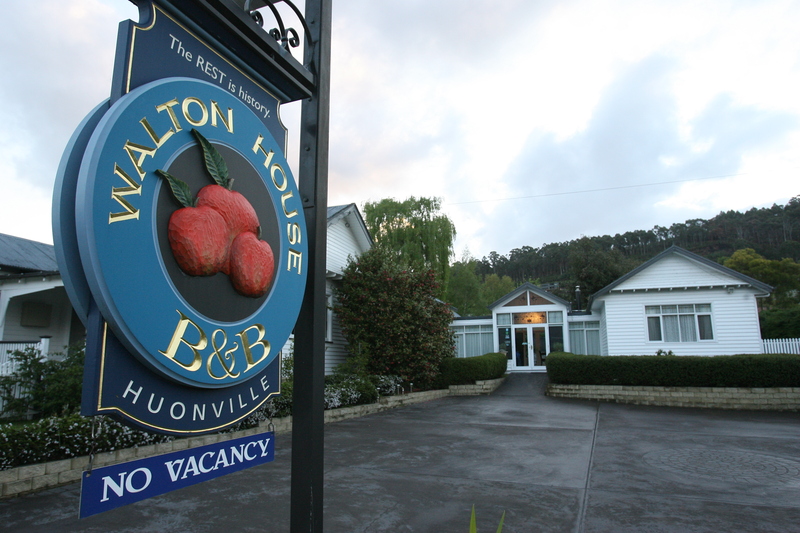 And we booked a room at a Huonville B&B, Walton House, as our base for four nights before returning to Hobart. 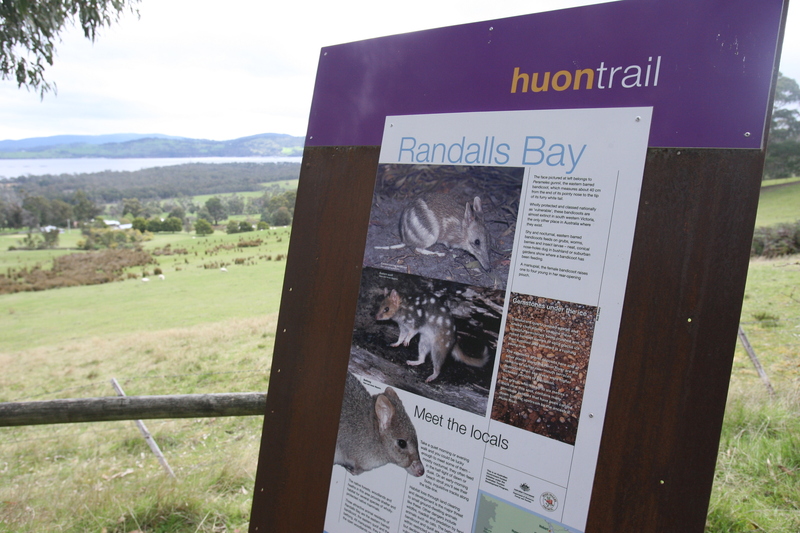 As it turned out, the evening we arrived there were showers and the forecast for the following day was cold, wet and windy … perfect weather for scampering between a handful of wineries, enjoying a leisurely lunch and exploring the inland areas of the Valley around Huonville. We visited Home Hill Winery at Ranelagh near Huonville, Panorama Vineyard at Cradoc, about 30 minutes away, and the delightful Hartzview Vineyard, not too far from Cygnet, and enjoyed tastings at each. Two other establishments that had been on our list – Brookfield Vineyard at Margate and Herons Rise Vineyard at Kettering – drew blanks, with the former now concentrating on its cafe business rather than tastings and the latter with only accommodation on offer the day we visited (tastings were only held on certain days and by appointment). Hartzview, by far and away, was the most remote and unusual vineyard either of us has ever visited. But the careful drive up a narrow forest road with a precarious switchback was well worth it. On a clear day, the view from the vineyard, its holiday cottages and its cosy restaurant must be absolutely stunning. But the low cloud on the day we visited focused our minds more on the range of wines and liqueurs on offer. 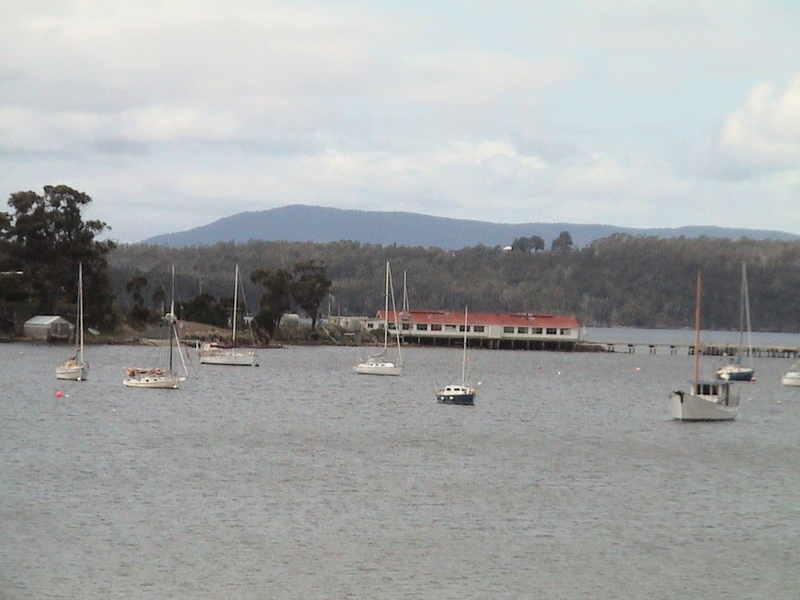 A late lunch at nearby Cygnet and then some exploring around Huonville rounded out our first day. We had heard good things about the Red Velvet Lounge, a cafe at Cygnet, and bypassed the Hartzview restaurant in anticipation. Alas, although it was incredibly busy for a weekday, the Red Velvet didn’t live up to its reputation for us. I thought the cool, damp weather would be perfect for minestrone soup, but without any beans, pepper, carrot or celery, the dish was a bland letdown. My partner was looking forward to the pulled pork dish, usually a tasty, slow-cooked dish with tender pork literally pulled apart with forks and served with a mildly spicy sauce. What arrived were simply carved up chunks of fairly dry pork. Clearly, the chef on duty hasn’t experienced the real thing. But the Red Velvet does sell homemade soughdough breads and ours proved to be delicious over the coming couple of days. With the promise of just a few showers the following day abating to a fine, pleasant day beyond that, the rest of our itinerary firmed up. 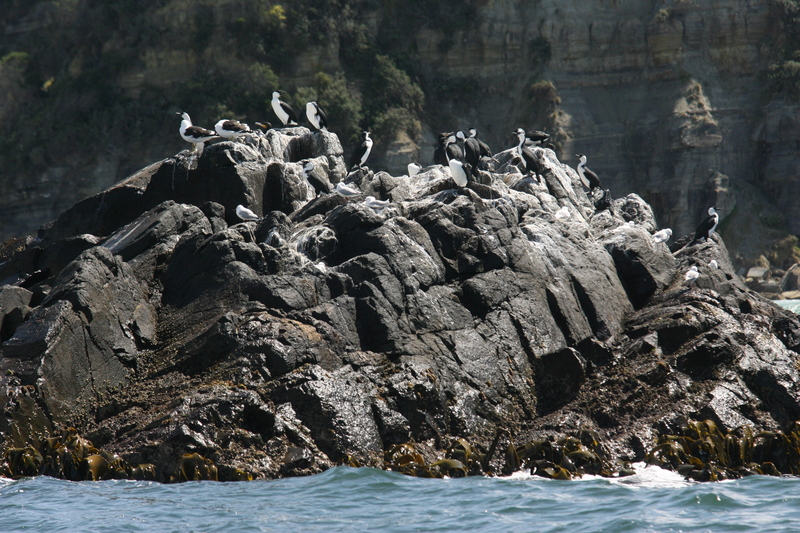 Our gracious Walton House hosts, John and Tanya Fox – who turned out to be recently arrived from Queensland – arranged to book our a Bruny Island Cruise for the third day and managed to swing us a $10 discount each. So, with just a couple of showers around, the second day we set off to Cockle Creek by car, stopping on the way at the quaint fishing village of Southport and stopping several times in the magnificent Recherche Bay area before arriving, finally, at the end of Australia’s most southerly road to Cockle Creek. 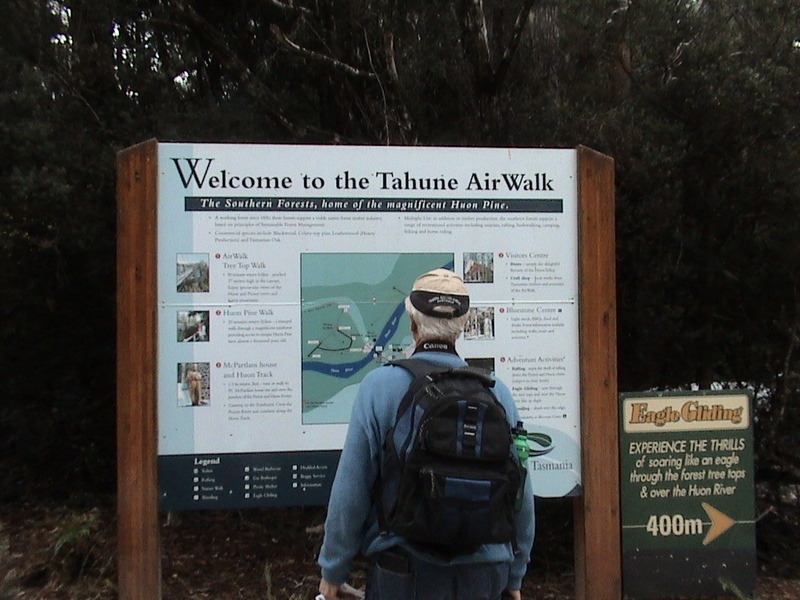 On the way back to Huonville we detoured off the Huon Highway at Geeveston to the delightful Tahune Airwalk. 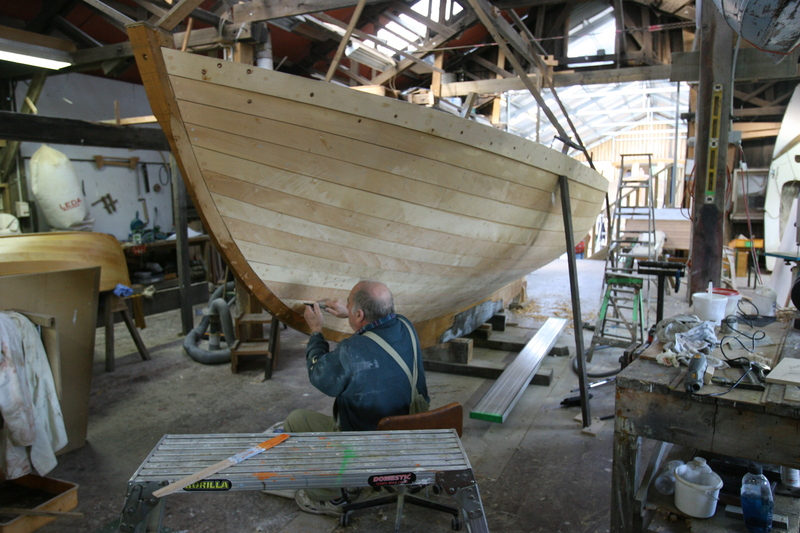 And we squeezed in a quick but fascinating visit to the Wooden Boat Centre at Franklin just before it closed for the day. Our third day dawned clear and crisp, so we drove to Kettering to join those heading off at 9am to begin our seaside adventure. 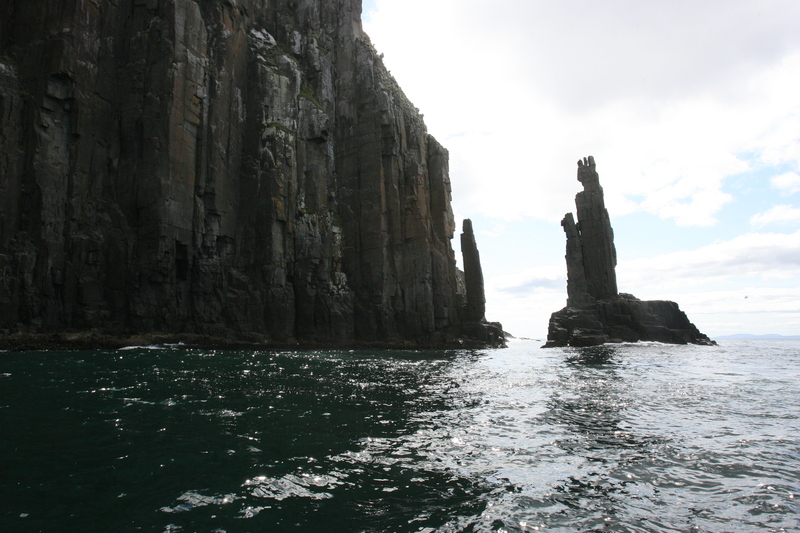 It’s not hard to understand why Bruny Island Cruises has been a multiple award-winning tourism operator, both on state and national levels. 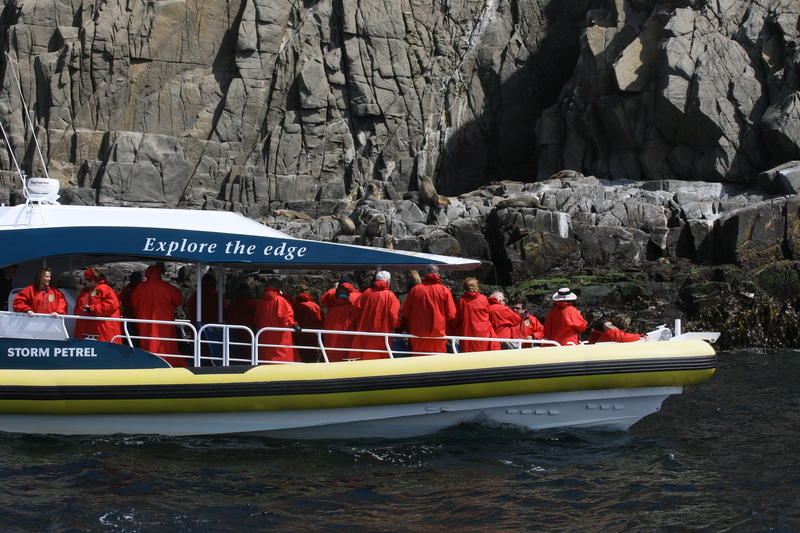 The company not only offers an exhilarating day trip that is sure to imprint stunning memories that will last a lifetime, its team members also go out of their way to make your experience something warm and very special. From its hands-on owner, Rob Pennicott, to our friendly and knowledgeable guides, Steve and Julie, as well as the guides from another two of the company’s boats that accompanied ours and the shoreline cafe staff who refilled us after our three-hour cruise, this happy crew were impressive in their attention to details, safety and comfort. We arrived at Kettering for a 9am rendezvous with the company’s minibus. 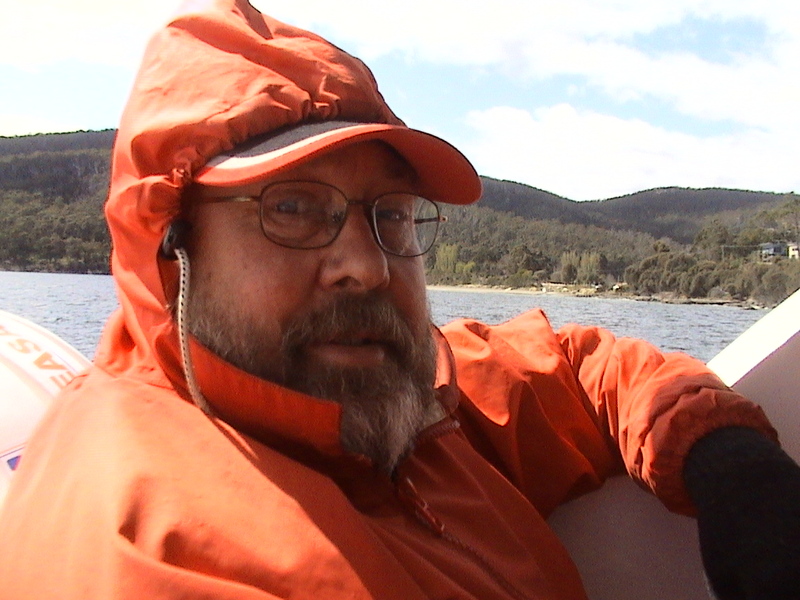 Our driver, Steve – who turned out to be our boat captain too – took us a short distance to the ferry terminus at Oyster Cove for a 9.30am, 15-minute crossing in the Mirrambeena, a well-kept double-storey vehicular ferry with modest prices – a two-way car crossing costs just $28. The cost of our day tour was $110 a head, discounted by $10 a head because we booked through our guest house. Lunch for the two of us was $26 and morning tea was $6 a head. 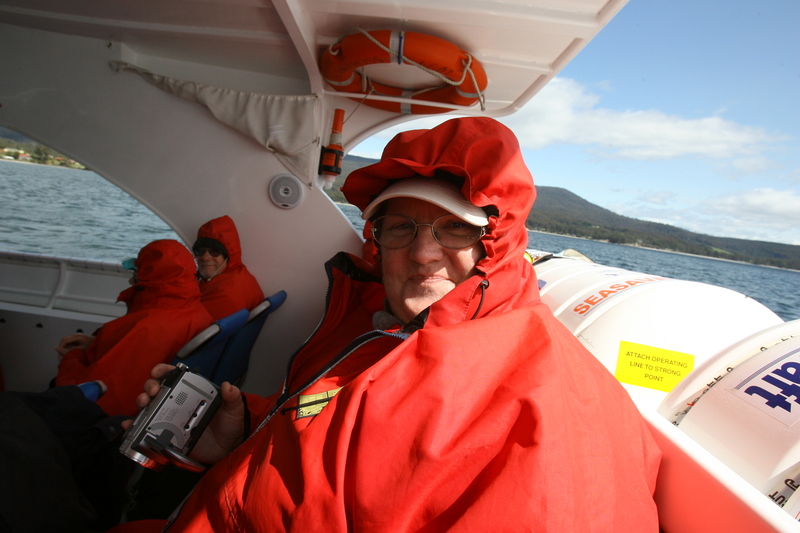 The full-on cold weather survival suit was handed out as we boarded and kept us wonderfully warm throughout the journey. 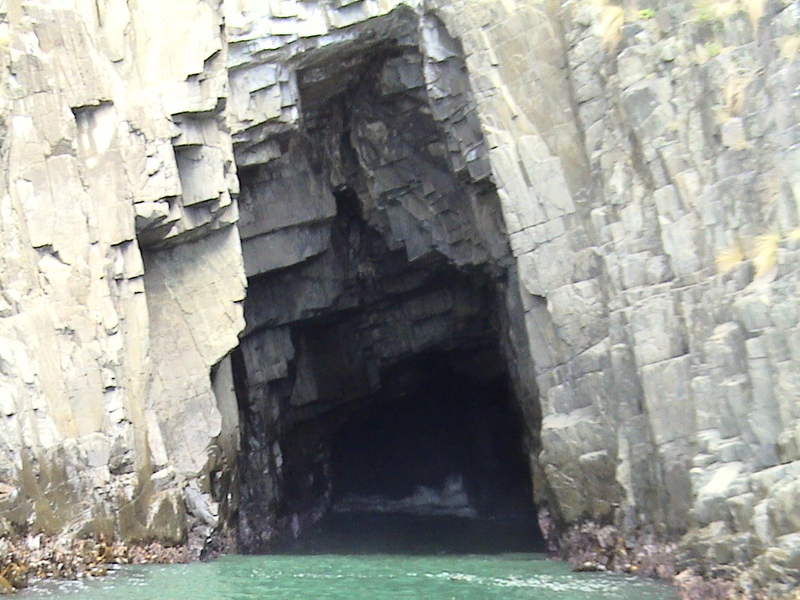 But it was the incredible experience out on the water in the 5.4m yellow inflatable RIB that was breathtaking, as we took in unspoilt sheer cliffs along the island’s eastern coastline, saw an amazing amount of unfamiliar birdlife and watched seals bathe and frolic in the spring sunshine as we neared The Friars, where Storm Bay meets the magnificent but often treacherous Southern Ocean. 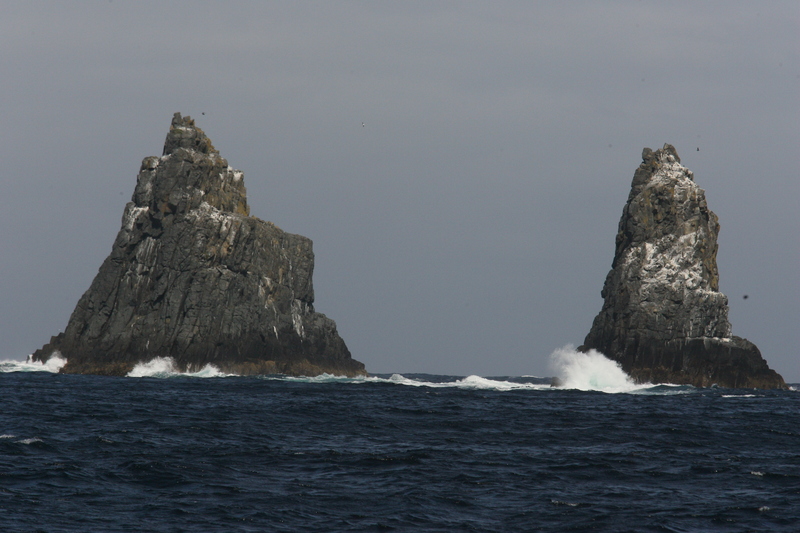 When ships or boats cross into the Southern Ocean, it’s customary to sound the vessel’s horn, which the captains of our three boats did, one by one, as they reached the exact latitude. 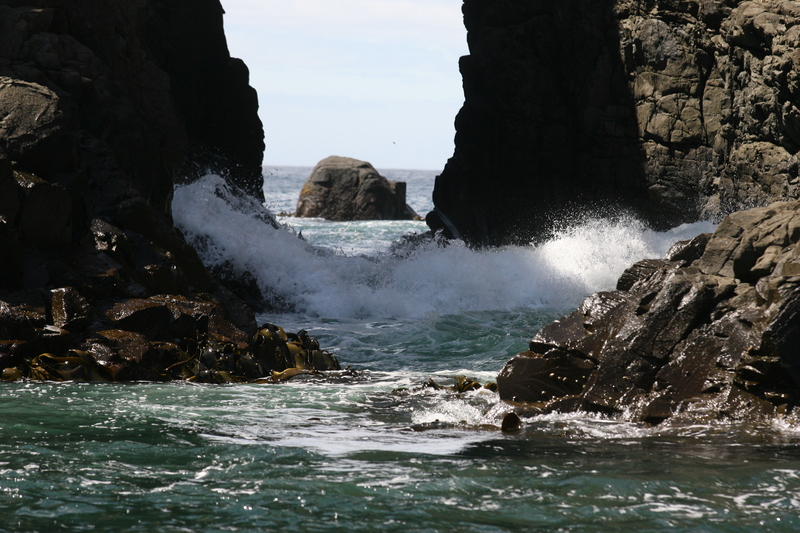 The day we ventured out, the waves were mostly around 1m, with the odd slightly higher set. 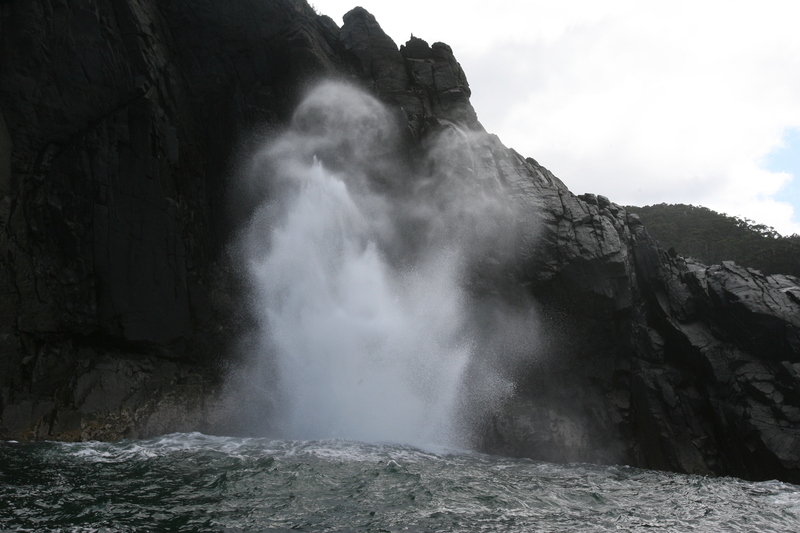 Our captain informed us that the Bruny Island Cruises generally don’t leave harbour when the waves reach 8m and, only days before our cruise, they had been 11m. 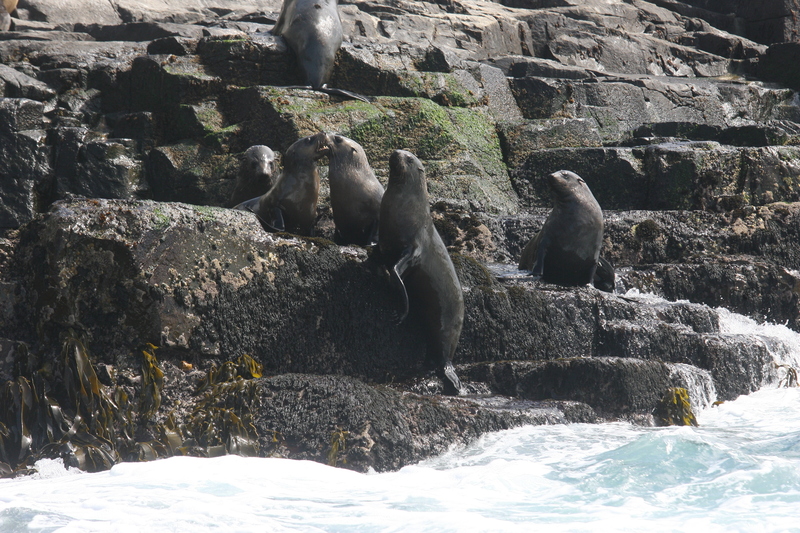 So to time our trip as we did, we were richly rewarded and had plenty to photograph. As the bright yellow boat pulled back into port, we both agreed it was the best $100 we’d spent in a very long time. 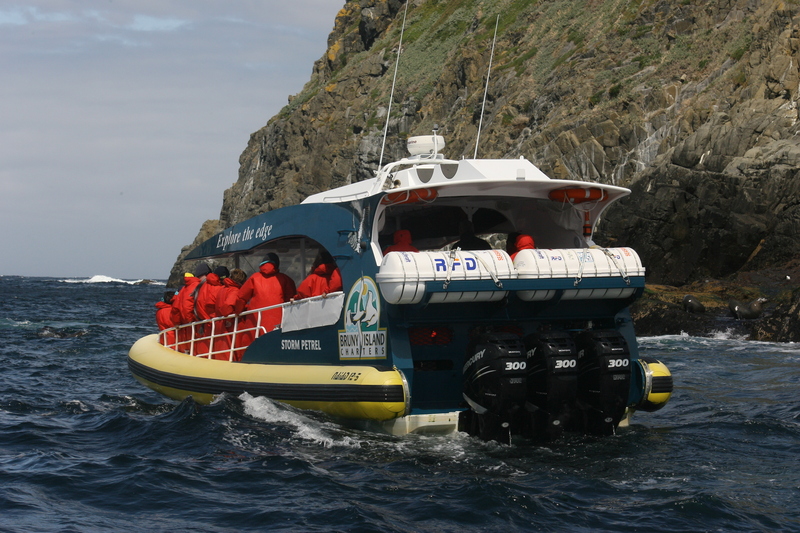 * Bruny Island Cruises and its owner Rob Pennicott have continued to win multiple state and national tourism awards, and Rob was named Tasmanian of the Year in 2012. 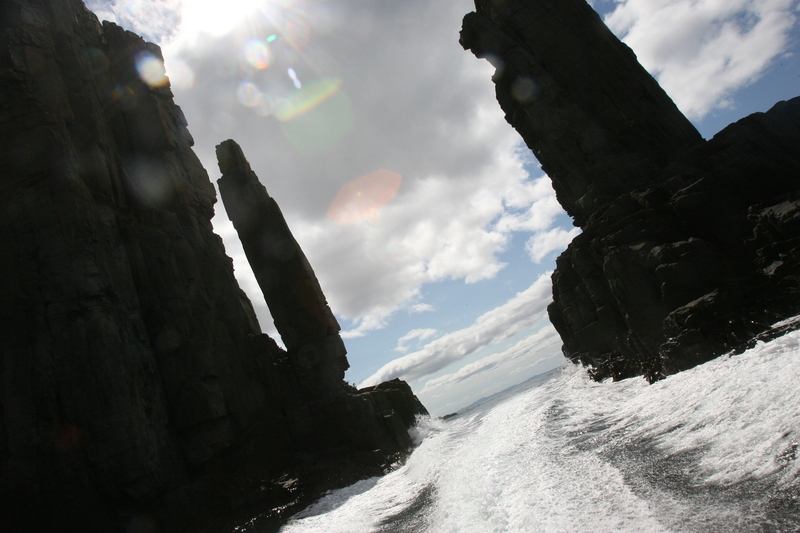 You can follow Bruny Island Cruises online or on Facebook.